If the Internal Revenue Service has filed a tax lien against me, what are my rights as a taxpayer? Because a tax lien filed by the IRS can have many negative implications, it is very important that you understand your rights as a taxpayer when the IRS files a Notice of Federal Tax Lien. The article below has been prepared by a tax attorney at The McGuire Law Firm to provide information regarding your rights when the IRS files a tax lien. Section 6320 of the Internal Revenue Code allows a taxpayer to challenge a Notice of Federal Tax Lien, request a Collection Due Process Hearing with the IRS Appeals Office, and seek a judicial review of the IRS Appeals determination. The Notice of Federal Tax Lien issued by the Internal Revenue Service must be provided to the taxpayer in person, provided at the taxpayer’s home or principal place of business or forwarded via certified or registered mail to the last known address within five business days after the Notice of Federal Tax Lien has been filed for a tax period. The lien notice will inform the taxpayer of the amount of the tax due and lien amount. In terms of taxpayer right, the lien notice must inform the taxpayer of the taxpayer’s right to a hearing, the appeals procedure and the applicable procedures for the tax lien being released by the Internal Revenue Service. If the taxpayer makes a Request for a Collection Due Process Hearing, the taxpayer will be contacted by the IRS Appeals Office, and a hearing date will be established. An appeals officer who has no prior involvement with the taxpayer’s case, and who should act as an impartial party in analyzing the actions taken by the Internal Revenue Service, should be assigned to the case. The Request for a Collection Due Process Hearing is made by preparing and filing Form 12153. After filing the request, you should receive acknowledgement by the IRS that the request has been received and thereafter, you should receive a notice from the IRS calling for a hearing date. At such time, you will be able to provide information and documents to the IRS appeals officer regarding your case and position. If the IRS has filed a tax lien against your or your business, you have a serious tax problem with the IRS that needs to be addressed and resolved. As a tax attorney, John McGuire has assisted many individual and business clients to resolve their tax matters, which in turn releases the federal tax lien that was filed by the IRS. Furthermore, as a tax attorney, John McGuire knows your rights as a taxpayer and can assist you in resolving your IRS tax problems, IRS tax audits, IRS tax debts and other issues. You can schedule a free consultation with a tax attorney in Denver, Colorado by contacting The McGuire Law. 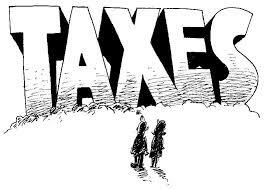 A tax attorney can help you resolve your tax issues, and or assist with other tax matters.